The leader of #ProjectRedTX is a former Gov. Greg Abbott campaign manager who has been involved in GOP politics through three previous redistricting cycles. The PAC has already raised $500,000 — from a single donor. As Gov. Greg Abbott sounds the alarm about Democratic efforts to influence the post-2020 redistricting process, he is being backed up by a new super PAC led by a key ally. The super PAC, #ProjectRedTX, has quietly raised a half a million dollars — from a single donor — as it looks to ensure Republican dominance in Texas through the next round of redistricting. Those efforts are ramping up as the state prepares to defend its current congressional and state House district maps before the U.S. Supreme Court. The group is being helmed by Wayne Hamilton, Abbott's 2014 campaign manager, according to a person familiar with the effort. Hamilton, a former longtime executive director of the Texas GOP, has been involved in politics for the past three redistricting cycles. "Our Mission is to create and support effective efforts to secure Republican representation in redistricting across the state," the super PAC says on its website. "This mission includes making expenditures to support candidates. Additionally, we will provide support for redistricting effort with expert demographers, statisticians and legal counsel." The website also says the super PAC was started "to make sure that those that seek to turn Texas into a leftist haven cannot get a foothold by mis-using the redistricting process." It'a message similar to the one that Abbott has been sounding for months — particularly about the year-old National Democratic Redistricting Committee, which is being led by former Attorney General Eric Holder and has the backing of former president Barack Obama. "Barack Obama and Eric Holder are ... getting involved in state and local elections because they want to change the electoral map by getting involved in the redistricting process," Abbott said during a get-out-the-vote stop Wednesday in Sugar Land. "The last thing we need is Barack Obama and Eric Holder tinkering with Texas elections." 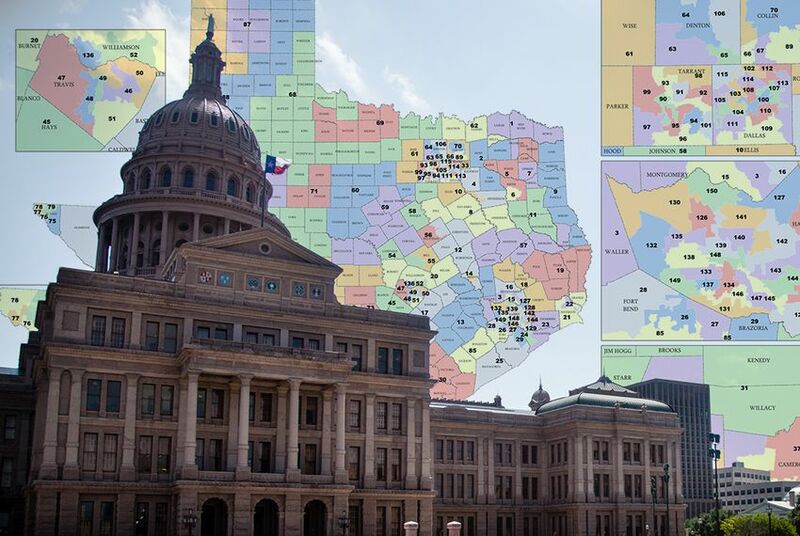 Texas Republicans are currently up against lower court rulings that invalidated parts of the maps and found that lawmakers discriminated against voters of color in adopting the current political boundaries. Because of that intentional discrimination finding, Texas is risking a return to federal oversight of its elections laws ahead of the next redistricting cycle. The super PAC was formed in April of last year but did not show any activity until more recently. At the end of January, it reported collecting two donations — $200,000 in November and $300,000 in December — from a single person: Michael Porter, a retiree from the tiny Hill Country town of Doss. The name is not entirely unfamiliar in Texas politics. Porter and his wife, Mary, made headlines last summer after Abbott's campaign disclosed it received a $1 million contribution from them, by far their biggest foray into political giving up until that point. Previously, Michael Porter had donated $50,000 in 2015 to former state Rep. Doug Miller of New Braunfels, who was unseated in the next year's primary by Kyle Biedermann of Fredericksburg. The Porters have not disengaged from politics since the news of the $1 million donation. In December, they gave $50,000 to Biedermann's primary challenger, Dave Campbell. And just on Wednesday, Abbott's campaign disclosed a $21,000 in-kind donation from Michael Porter for private airfare to return from the Republican Governors Association gathering over the weekend in Washington.